Have a Go / Casual session fee is $20 and must be pre-arranged by phoning Marie on 0211705426. We do not run casual sessions at the start of term training. (2) Click on a purchase box under registration form that matches your selected program, a confirmation email will be sent once purchase has been made. Version: 2018 1. 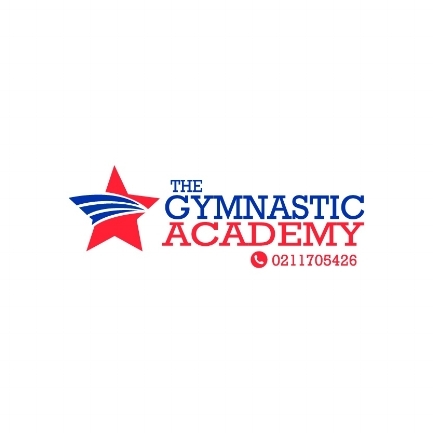 Payment Registration 1.1 Gymnastic Academy Programs: Enrolling online in a gymnastic academy program secures a booking for one term of gymnastic training. Irrespective of attendance, payment is on a per term basis and is expected at start of term training. Parents/caregivers and children are responsible for program attendance. 1.2 Program Length: Programs may vary depending on location and school events taking place. If there is a clash with school to normal training time, coach will text parents session cancellation with make up session information. 1.3 Late payment: Late payment constitutes default under this agreement and late fee penalty may apply at $5 per week late starting in week 3 of training. 1.4 Late pick-ups: Late pick-ups for after school classes will incur a late pick-up fee of $15 per 15 minutes or part thereof. 1.5 Discontinued sessions: The gymnastics academy reserves the right to discontinue any child for reasons including but not limited to inappropriate behavior and non-payment of fees. 1.6 Indemnity: The parent/caregiver agrees to indemnify Gymnastic Academy programs against all costs, whether commissions, legal fees or otherwise, incurred by gymnastic academy relating to the recovery of any monies, goods or services that may be outstanding from time to time pursuant to the terms of this agreement. 1.7 Program Policies and Procedures: By booking your child into the gymnastic academy, you are agreeing to all terms and conditions set out in the gymnastic academy Policies and Procedures Manual which is available at programs venues. 2 Refunds: 2.1 Gymnastic academy missed sessions: No refund will be given where session is missed or for early withdrawal from sessions during the term. 2.2 Cancelled sessions: If a session is cancelled and a catch up session is not available, that fee will be carried forward and credited to the next term. 3. Health & Safety 3.1 Medical Information: In the interests of the child’s well-being whilst in the care of Gymnastic academy must be informed of any medical or other condition affecting the child. 3.2 Gymnastic academy is not responsible for children outside the agreed program time or for a child making their way to and from a program venue. 3.3 Training safety: Be on time for class, as warm up is an important part of keeping and staying safe. No playing on equipment until class begins at coaches instruction Children must follow coach instruction for their own safety. Please wear appropriate attire No jewelry that may catch and cause injury, exceptions: medical ID tags/bracelets. Hair should be tied back away from their face. No valuable items should be brought to the gym. Gymnastic academy cannot be responsible for lost or stolen items. Students may not leave class without permission from their coach/instructor. This includes trips to bathroom and water fountain. No jumping off equipment onto floor, walk or climb carefully. Dismount onto landing mats only Spotting gymnastic skills to be done by coaches only. Gymnasts are expected to be respectful and show good manners in the gym. No fighting of any kind will be tolerated Report any sickness or injury to coach Lift equipment properly Enthusiasm and motivation when appropriately channeled can lead to the acquisition of new skills, however, no skill should be attempted without permission and/or safety spotting from academy coach. We ask that each child has a basic understanding of English language in order to keep safety for your child and other students. The gymnastic academy reserves the right to remove children from the class failing to act in a safe manner. 3.4 Sport injury and illness: Advice coach if you are feeling ill or have symptons of illness. Please advice coach is your child is on medication Children on medication which may affect their co-ordination skills should not be allowed to attend classes. Report and injury, unsual pain or discomfort felt during participation to your coach immediately. Injured students are expected to gain an assessment of injury from a sports doctor. 3.5 health & safety emergencies: In an emergency situation where your child/ren needs medical attention, staff will ensure that every effort possible is made to get hold of the parents/caregivers/emergency contacts. If contact is unsuccessful, I authorize any person (acting through the contract coaches of gymnastic academy) in the event of any accident or illness to my child, to take such steps as may be necessary for the proper treatment and care of my child. 4. Privacy and copyright: 4.1 Advertising: Gymnastic academy will occasionally video/photograph sessions and may use video footage or pictures for promotional or training purposes. You agree to your child’s image/s being used, unless written notification to the contrary is provided at enrolment. 4.2 Personal details: Gymnastic academy will not share your details with any third party without your written consent except in the case of 1.6 and 1.7 above and for program 4.3 Copyright: Children/Parents/Caregivers undertake not to make copies of any gymnastic academy material, and/or use our intellectual property rights and content unless authorized to do so by Gymnastic Academy Director in writing. 5. General 5.1 I consent to my child participating in/attending gymnastic academy program 5.2 Gymnastic academy takes no responsibility for any loss or damage to children’s property while in our programs.